Cook maple syrup with cinnamon stick, cloves, star anise, cardamom, vanilla bean seeds, and lime and orange zest. Deglaze pan with red wine and reduce to medium heat for approx. 3 – 5 min. 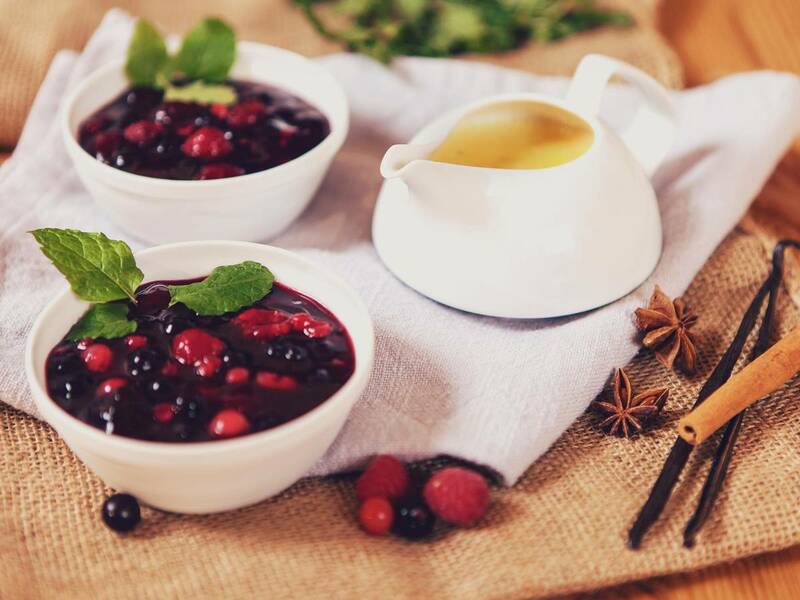 Bind the boiled mixture with cornstarch and pour it through a wire strainer onto the frozen berries. Remove the strainer and put the compote into small bowls to chill for at least 1 hour. Garnish with mint and serve with warm vanilla sauce.